One of the acids in fish oil is known as DHA (Docosahexaenoic Acid). This powerful acid is ideal for the maintenance of your brain, eyes and heart. 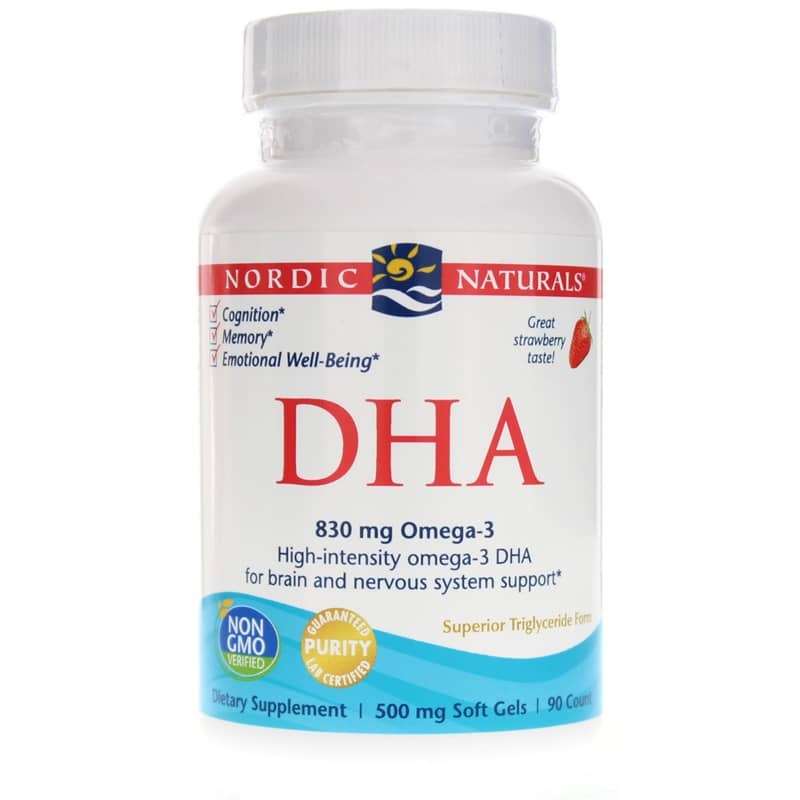 Adding DHA to your daily intake may help to improve or rebuild your memory skills. 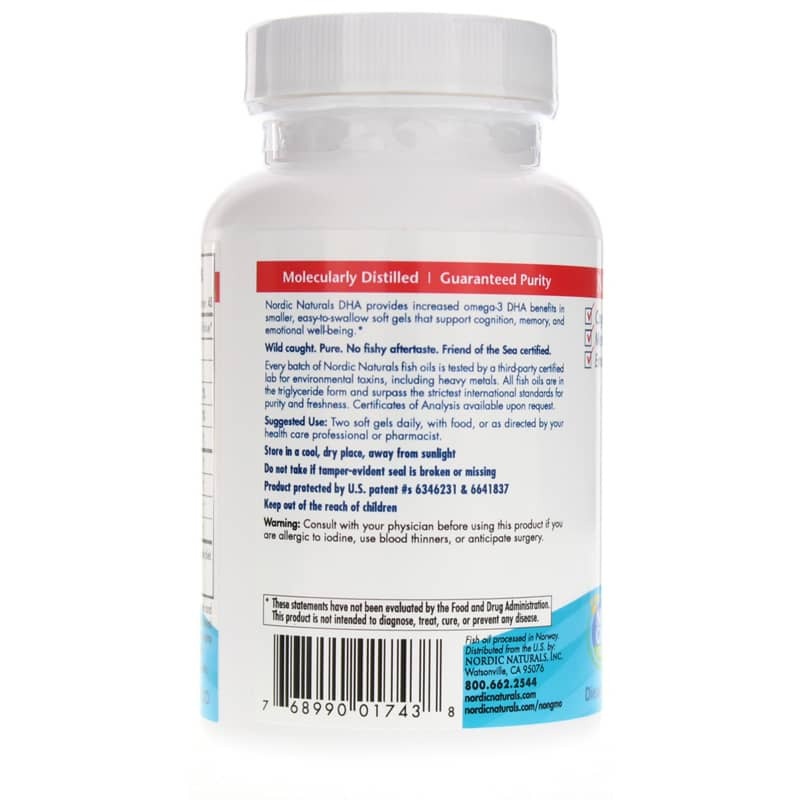 DHA Strawberry from Nordic Naturals is a delicious way to ensure you getting an adequate intake of essential brain nutrients. 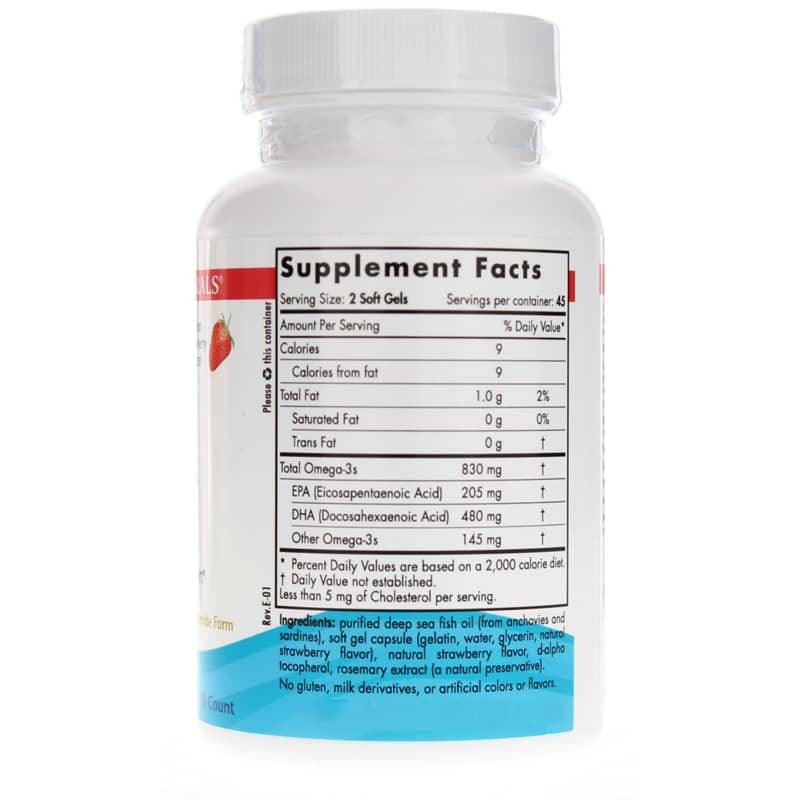 This highly concentrated formula offers support for mood, memory and neurological function. Activate your memory and brain function with all-natural DHA supplements. Add to your cart today! Adults: Take 2 soft gels daily, with food, or as directed by your healthcare professional. Works great and no fishy burps! Love this stuff! They are pretty affordable and really help my systems work together better. My NP suggested this supplement while pregnant. I love that these don't have a fishy after taste. They're very easy to take, even with morning sickness. Very quick and easy shipping too!